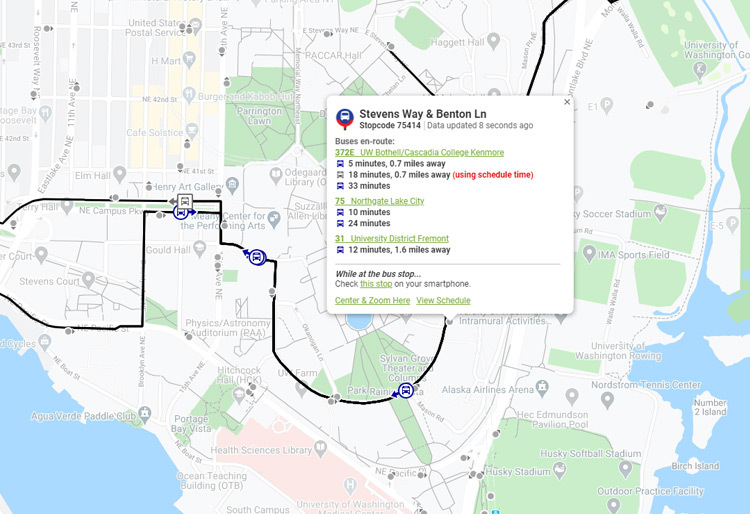 View the bus stop & light rail interactive map from OneBusAway. These are the most popular of the dozens of bus routes that serve the University District. 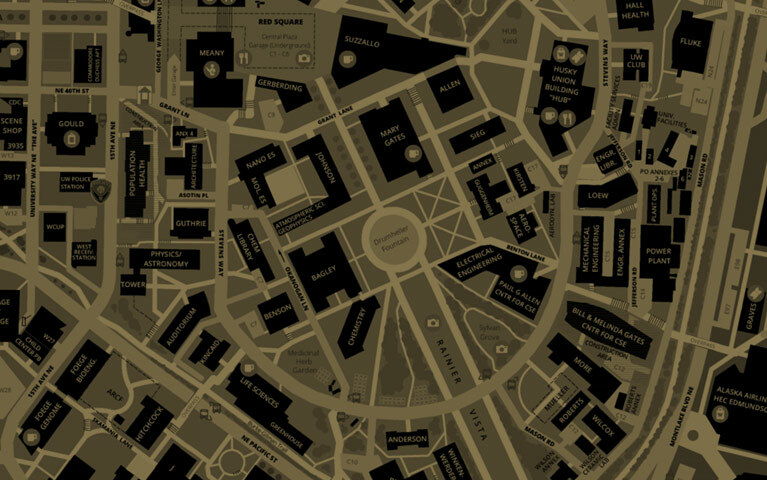 Routes marked with a star drive onto campus; the others stop just outside it. * - Routes that drive onto campus.